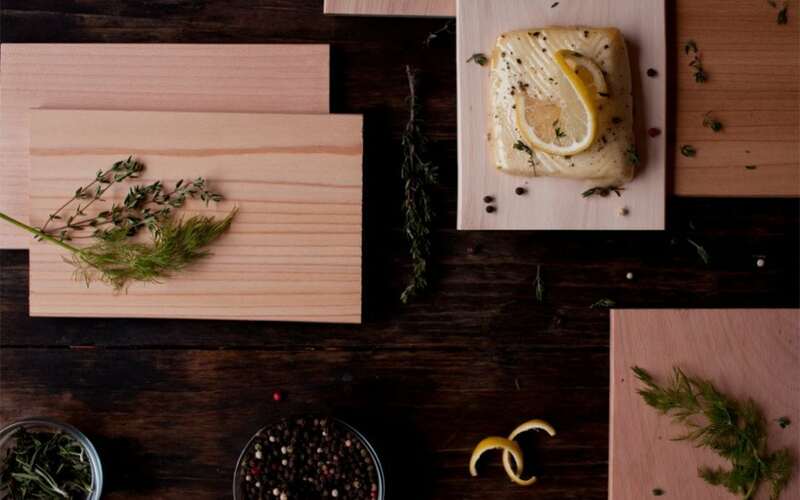 Grilling Plank Flavor Pairing Guide: Which wood pairs best with food? Of all the flavors in all the world you walked into our woods. Our desire to combine fire, wood and food together is one of our most basic instincts. Simple and ancient, these techniques work to create a taste that is bold and reminiscent of our rugged pasts. The travelers, explorers and adventurers all go with what they know and that is instinct. We make it as easy as listening to your gut feeling. Cedar: Known for its classic pairing with salmon, Cedar also pairs well with vegetables, soft cheeses with a rind, pork chops and tofu. A spicy and fragrant smoke flavor that finds a place in your stomach as well as your heart. Read more about the Cedar Wood Flavor Profile. Cherry: Slightly on the sweeter end, Cherry pairs well with chicken, turkey, peaches and vegetables. Cherry offers a sweet, fruity flavor that keeps on kicking. Hickory: Popular for smoking for its strong and bold flavor, Hickory pairs especially well with beef, lamb, wild game, bacon and fruits. Maple: With a subtle and balanced flavor, Maple pairs especially well with pork. Wrap whatever you’re grilling in bacon or prosciutto and use a Maple plank for delicious, sweet smoke flavor. Pizza, pineapple and vegetables are also great pairings for Maple planks. Red Oak: Medium strength flavor, Red Oak is the most versatile of the grilling woods. It goes well with beef, pork, lamb, wild game and fish. Alder: With its delicate earthy flavor, Alder is the perfect pairing for white fish like halibut, seafood in general, vegetables and fruit. Read more about the Alder Wood Flavor Profile. In the end, go with your instinct. Cooking is all about making what you like. But in our extensive R&D of plank-grilling, we’ve found these flavor pairings to work. 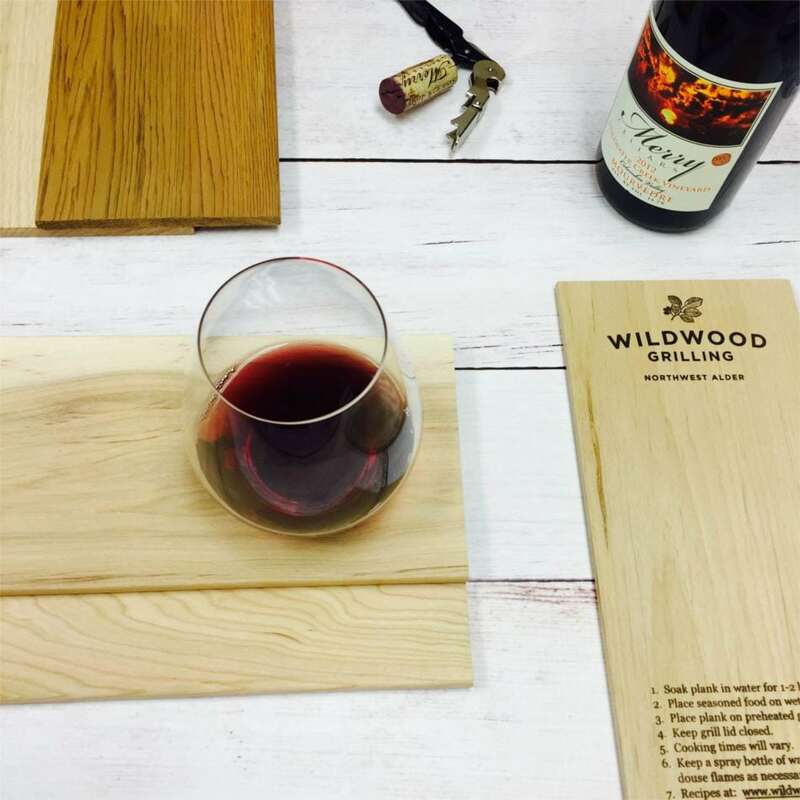 You might also like our Wine & Wood Flavor Pairing Guide.